A common thing I hear from friends that have 3 or more children is that it is hard to find a resort in the Caribbean that can accommodate their family without it costing them an arm and leg. Well look no further my friends because I have done the research for you! All of these resorts will accommodate your family and promises to be a great sunny getaway so that you can sit back, relax and make memories that will last a lifetime. Happy Vacation planning! The Divi Village Golf & Beach Resort is centered on a large, sparkling freshwater pool, with views of the beach located directly across from the resort. Spacious studios, one, and two-bedroom suites surround the main pool area and offer fully equipped kitchens and private balconies with ocean and garden views. A unique collection of premium golf view suites are located along the course and fronted by a magnificent freeform pool with swim access bar. 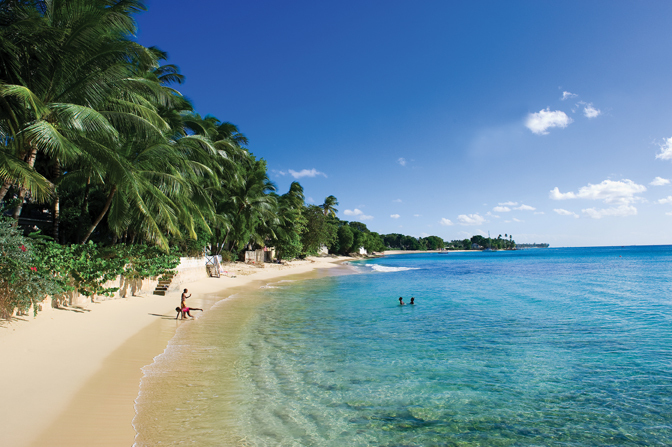 Almond Resorts in Barbados offers three great all-inclusive resort destinations with one amazing Caribbean experience. For groups, weddings, couples, families and singles – for all those seeking a personalized experience without rules, without worries – we promise breathtaking views, lushly landscaped gardens, countless activities, exceptional cuisine and friendly, helpful people. 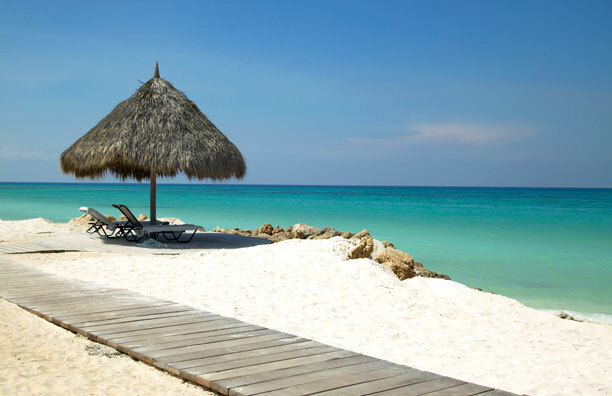 Located beachfront in Rincon Francés, part of the Varadero ecological reserve. Five-Star Ultra All InclusiveEco-Resort with 510 rooms. This charming world is privileged with elegance, refinement and privacy, especially its Royal Service. Recommended for families, weddings, honeymoons, incentives and wellness/spa. All Inclusive Four Star resort with 651 rooms. 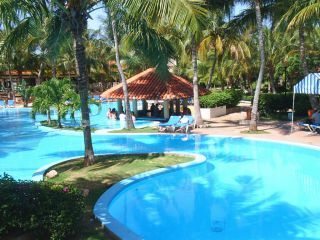 Located alongside the beach in Varadero. Hotel complex surrounded by tropical gardens which convey an informal atmosphere. The property excels for its superb entertainment program. Recommended for families traveling with children. All Inclusive Four-Star Resort, with 608 rooms. Privileged location alongside Varadero Beach. Spectacular hotel – bungalow complex with refreshing swimming pools surrounded by gardens, terraces and bars. The property excels for the comfort of its rooms, unique décor of its buffet restaurant buffet with gourmet- show cooking and fun-packed entertainment programs. Recommended for families, golf enthusiasts, honeymooners and groups. 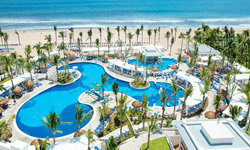 Four -Star All Inclusive Resort with 464 rooms. Located beachfront in Playa Esmeralda, on the northern coast of Holguin province, where visitors will be amazed by the dazzling superposition of blues and greens from the sea, sky and costal shrubbery. This hotel complex is surrounded by extensive green areas and offers a wide variety of services and attractions. Recommended for families, weddings, honeymoons and tourist groups. 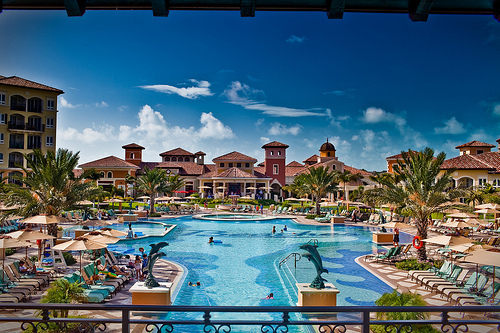 This resort sets the standard for family oriented all-inclusive hotels in Punta Cana. The beach at Meliá Caribe Tropical is simply spectacular, and is only one of the resort’s many impressive features. The Punta Cana hotel has over a dozen restaurants to choose from so you can have a wide variety of international dining experiences during your stay. With a world-class golf course right across the street, an exciting casino and the most thrilling activities in Punta Cana, Meliá Caribe Tropical is the perfect choice for your next family vacation. The Flintstones have found the perfect place for their holidays: they are staying with your family in one of our first theme hotels. Your kids can explore the Yabba-Dabba-Doo bazaar, gardens and swimming pools just like those Fred, Wilma, Barney and Betty enjoyed. Let yourself be surprised! 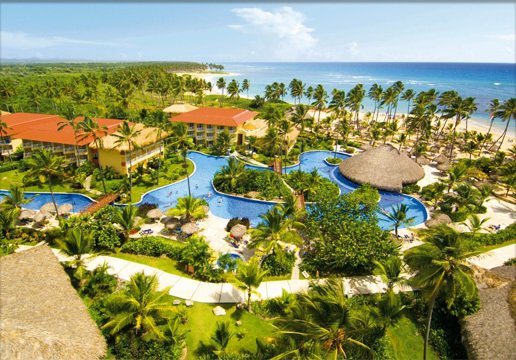 Dreams Punta Cana Resort & Spa provides stunning palm-studded beaches surrounded by flourishing vegetation. This Unlimited-Luxury® resort is an undiscovered treasure offering couples and couples with children one of the largest pools in the Dominican Republic which flows from the lobby down to the beach, complete with a swim-up bar and venues throughout. Kids can enjoy activities and entertainment at the explorer’s club and teens can chill out in the core zone while adults relax poolside or at the full-service spa. On the seafront of one of the 10 best beaches in the world, Barcelo Bavaro’s beach is protected by a coral reef that makes the pristine sea perfectly calm. Fabulous hotel facilities include an incredible, luxurious spa swimming pools, gymnasium, shopping centre and a mini-club for the little ones. At night you can enjoy the lively nightlife at the hotel: shows, discos, casino. Ocean Blue & Sand Beach Resort is a luxury 24 hours all inclusive resort, with private Jacuzzi in all Junior suites, a lovely beach, plus the finest selection of themed restaurants and an exceptional coffee house. The resort offers everything from a bowling alley and special sports to breathtaking free form pools with swing up bars, Jacuzzis and children area. If you’re looking for a family beachfront getaway with an intimate private beach, a Pirates Island Waterpark, extra large accommodations, the only all-inclusive golf program for kids and near Jamaica’s best attractions, Beaches Ocho Rios is for you. The vibe here is totally carefree and about spending time with those you love. Spread out over a lushly landscaped 20 acres, Beaches Negril epitomizes paradise with spectacular gardens beside the sea, a sprawling Pirates Island waterpark, and plenty of activities and amenities for the whole family. For those who want a little tranquility and a whole lot of cool, it all begins with a beach vacation at the best all – inclusive resort in Negril. Your all-inclusive vacation in Jamaica at the Franklyn D. Resort & Spa will be a most memorable family experience! From friendly, caring and interactive staff, including your family’s own Vacation Nanny, their all-inclusive vacation packages include the best of food, drinks, accommodations and activities for families. 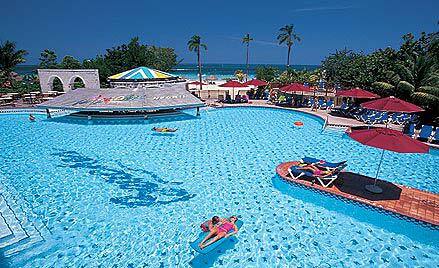 Riu Montego Bay offers deluxe accommodations and a wide variety of activities in a beautiful setting. Riu Montego Bay sits along a shimmering beach, in harmony with its tropical surroundings. This island oasis offers deluxe accommodations in a stunning setting surrounded by an unspoiled natural environment. Montego Bay continues to grow and provides a well-rounded range of services and shops in addition to tropical, turquoise waters. This is a wonderful vacation destination for both romantic getaways and family vacations! RIU Resorts prides themselves on customer satisfaction and Riu Montego Bay is no exception! Azul Beach Hotel is a family-friendly, boutique-style property located on a gorgeous beach 20 minutes from Cancun International Airport. All suites are just steps from the beach, pools, restaurants and bars. Azul Beach especially caters to families with young children with loaner baby equipment, kid’s club and parent support. The exclusive Family & Friends Vacation Planner coordinates family reunions. Romantic couples love Beachfront Sky Massages and Suite Scenes. A perfect escape for the entire family! This resort offers six gourmet restaurants, Gorgeous swimming pools, 24-hour room service, fantastic kid’s club and a friendly staff to ensure your vacation is relaxing and fun. Dreams Cancun exclusively situated at the tip of Punta Cancun and surrounded on three sides by the crystal-clear Caribbean, offers couples, singles and families Unlimited-Luxury® along with the exciting Delphinus, the on-site dolphin aquarium. Guests will surely be satisfied with a range of activities and entertainment ranging from world-class Dreams Spa by Pevonia and is located just steps away from shops and the nightlife of Cancun. Paradise for families and couples, where there is something for everyone and where everything is included. A wide variety of snacks and meals, domestic and imported drinks and recreational activities for all ages, spectacular evening shows performed by professional dancers, with a different program every night, and the largest pool in Vallarta! The Flintstones have found the perfect place for their holidays: they are staying with your family in one of our first theme hotels: Yabba-Dabba-Doo bazaar, Roca Flash, RocAdventure, Baby Rock Club, Bamm Bamm Club and Cool Club. Let yourself be surprised! Featuring an array of amenities, facilities and unlimited amounts of fun, this beautiful beachfront resort is directly across the street from the island’s premier golf course designed by the Nicklaus Design Group and just three miles from San Miguel, Cozumel’s main shopping area. The perfect place to enjoy the crystal clear waters of the Caribbean Sea and the white-sand beaches for which Cozumel is well known; Meliá Cozumel offers a casual, comfortable and inviting resort experience that is certain to satisfy one and all. The Flintstones have found the perfect place for their vacation! They will be enjoying one of our first theme hotels. Look out for them at the Yabba-Dabba-Doo Bazaar as well as in the gardens and at the swimming pools! Riu Emerald Bay dazzles guests with spectacular ocean views from almost every spot on the property. From the impressive lobby to the elegant guestrooms that feature signature RIU amenities, this outstanding all inclusive resort is the perfect place for couples, families, and singles seeking a beautiful retreat on the shores of the sapphire Pacific Ocean. Children will have the time of their lives at the supervised RiuLand Kids Club, while adults can pamper themselves at the world class Renova Spa or enjoy some quiet time alone. Dining options are sure to please all palates with gourmet restaurants serving global cuisines. Featuring golden, sandy beaches and a laid back atmosphere, the Riu Emerald Bay is the perfect destination for all ages. A Riviera Maya family resort located in the luxurious residential complex of Grand Coral, which has the most amazing facilities offering great Riviera Maya all inclusive family activities perfect for keeping the children entertained. A fun water park with colorful water slides and amazing kid’s club, are just some of the features that make Sandos Caracol, the ideal family getaway. Dive into a one-of-a-kind, unbelievably exciting all-inclusive for the whole family. A 45,000 square-foot waterpark; three magnificent villages, boasting the architecture and ambiance of Italy, France and the Caribbean; a 12-mile beach lapped by clear turquoise waters; endless fun activities for everyone, from tots to tweens and teens, featuring Sesame Street® characters, the new Xbox 360® Game Garage and a sizzlin’ teen disco, Liquid at Beaches-all located on one of the world’s best beaches. Guests of all ages will indulge in Splash, Coconut Bay’s family friendly wing with areas intended to delight the young at heart. Colorful rooms face the ocean and overlook CocoLand, St. Lucia’s largest water park featuring a large activity pool, lazy river and exciting water slides. Also on the Splash side is the Caribbean’s first paintball facility able to host 10 players. The fully supervised Kidz Klub is nearby and easy to find by the gleeful sounds of youngsters enjoying its water feature, expansive pirate ship and air-conditioned indoor play room. 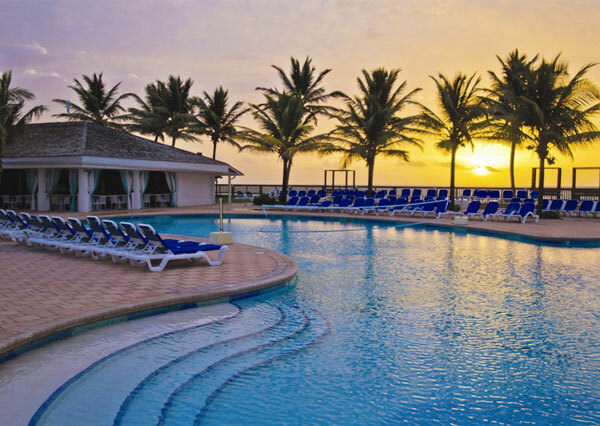 Morgan Bay Beach Resort is a vibrant, colorful, and refreshingly casual All-Inclusive resort, distinguished by its romantic waterfront setting. The wide array of accommodations, activities, water sports, restaurants, bars, and amenities make Morgan Bay your ideal destination for a relaxing tropical getaway. Posted in Fun in the Sun Family Vacation and tagged all inclusive, aruba, barbados, beach, cancun, cuba, dreams beaches, family fun, family of five, family vacations, jamaica, kids, large family vacation, mexico, punta cana, resorts caribbean, st. lucia, sun, turk and caicos. Bookmark the permalink.